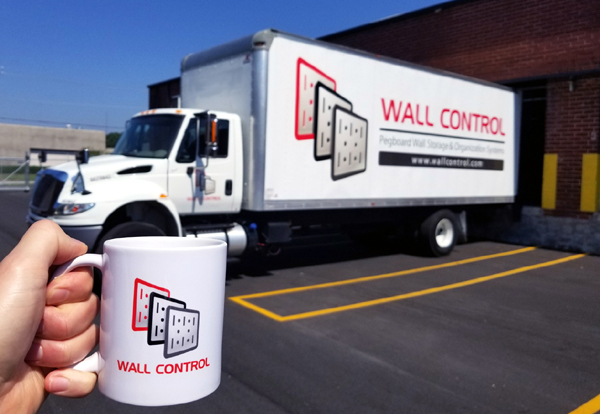 WallControl.com ships free to any address in the continental United States for all online orders over $50 and we have thousands of products in-stock and ready to ship out today! Free Shipping is only available for online purchases. Free Shipping is not included for returns. Online orders typically ship out within 1-3 business days and most within 24 hours of online order placement. 1. Print off a copy of your Wall Control Sales Receipt that was either emailed to you or included in your packing list on the box your products arrived in (unfortunately, we cannot accept returns for Wall Control merchandise that was purchased through one of our retailers). 2. Pack up the items you would like to return in *resalable condition and include a copy of your Wall Control Sales Receipt. *Resalable condition only means that Wall Control can repackage the products and resell them. Original packaging is not required for a product to be considered "resalable", just the product itself must be in "resalable condition". Restocking fees apply for freight shipments and wholesale orders.